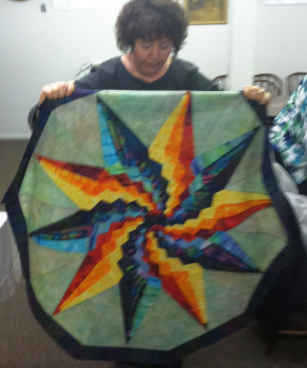 My friend Kathy sent me these photos of her recent Stargello class. Kathy is from North Dakota and teaches in several states. Kathy's Primary Color Sample--Beautiful, huh? 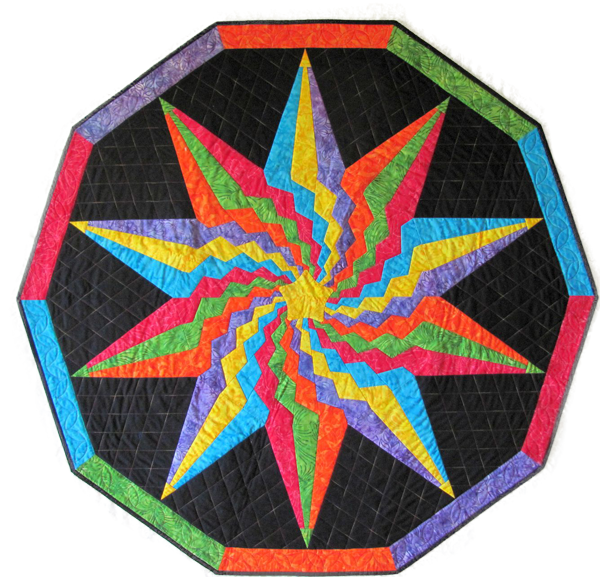 If you'd like to see more of her stuff, here is her web site: http://augustwindquiltdesigns.com/ Her full name is Kathleen Morehead Johnson. 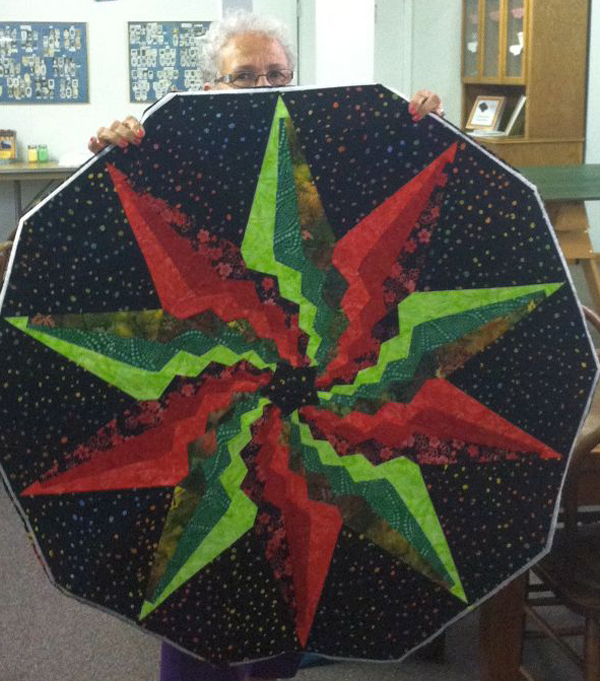 DeLaura's sample from Kathy's class--dynamic colors! Lorri's sample--Blurry, yet still shows what a beauty this one is!